On its 40th anniversary in 2003, the restructuring of the Maison de la Radio was programmed. 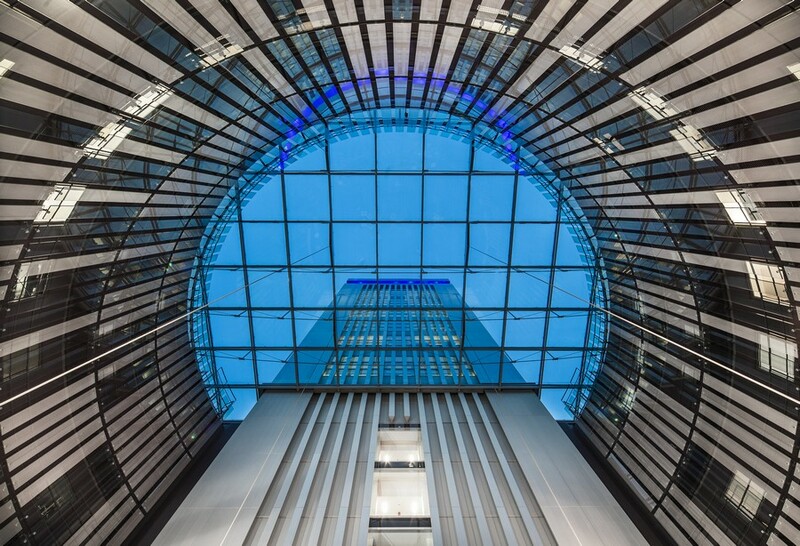 The international competition won in 2005 by AS.Architecture-Studio retained the uniqueness of the building within a redesigned landscaped space. Symbol of the radio, the «round house» began its transformation in 2009, with a construction schedule through to 2017, for a total cost of 241.5 million euro. 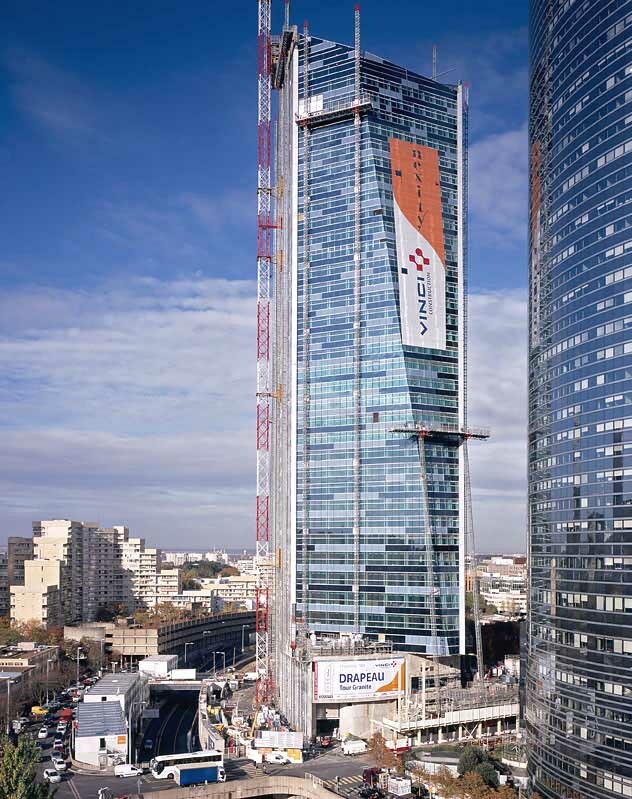 This 100,000m² construction programme is undertaken within occupied premises, a constraint that required careful phasing of work to minimize construction noise pollution and allow broadcasting to continue. 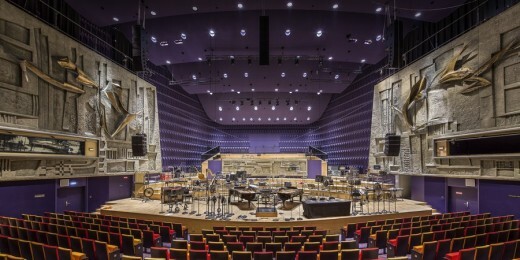 The transformation project entails the construction of a 1461-seat symphony hall, highlight of the rehabilitation programme, which was inaugurated in November 2014; as well as upgrading the security of the building, much of which is classified high-rise, and the landscaping of outdoor spaces formerly occupied by car parking. With the Maison de la Radio Grand Auditorium, the public will at last have a new international symphony hall in Paris. The construction of the Grand Auditorium, key facility of the Maison de la Radio programme, started in 2011. 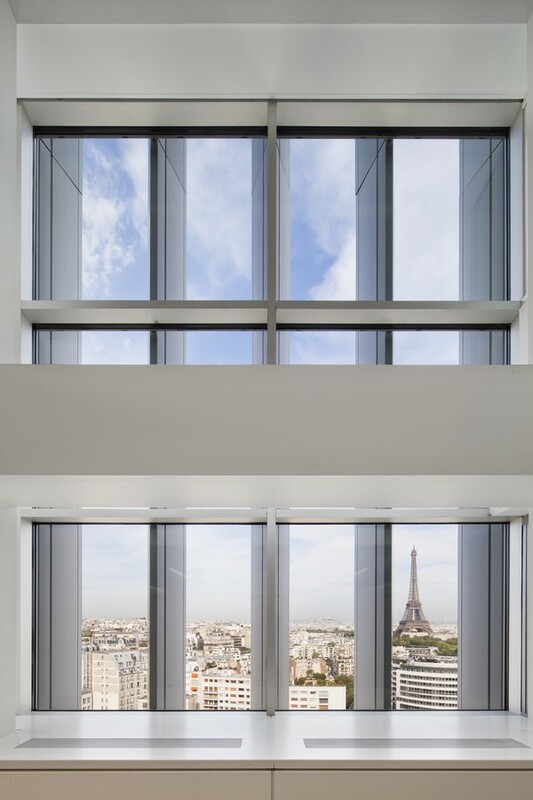 Designed by AS.Architecture-Studio, the new hall fits coherently into the overall plan at the intersection of the new public areas that take advantage of the vast, glazed foyers that open onto the Seine. been as a constraint became an attribute: both intimacy and closeness. 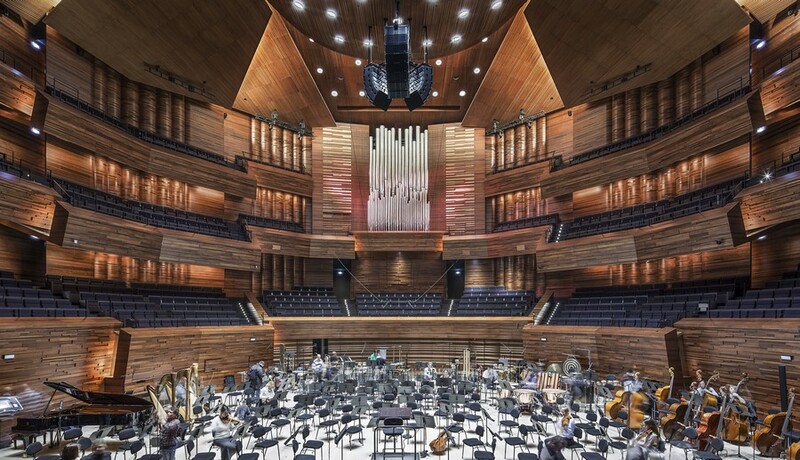 The atmosphere of the hall highlights this peculiarity creating a showcase for music, a homogeneous space predominantly in timber. 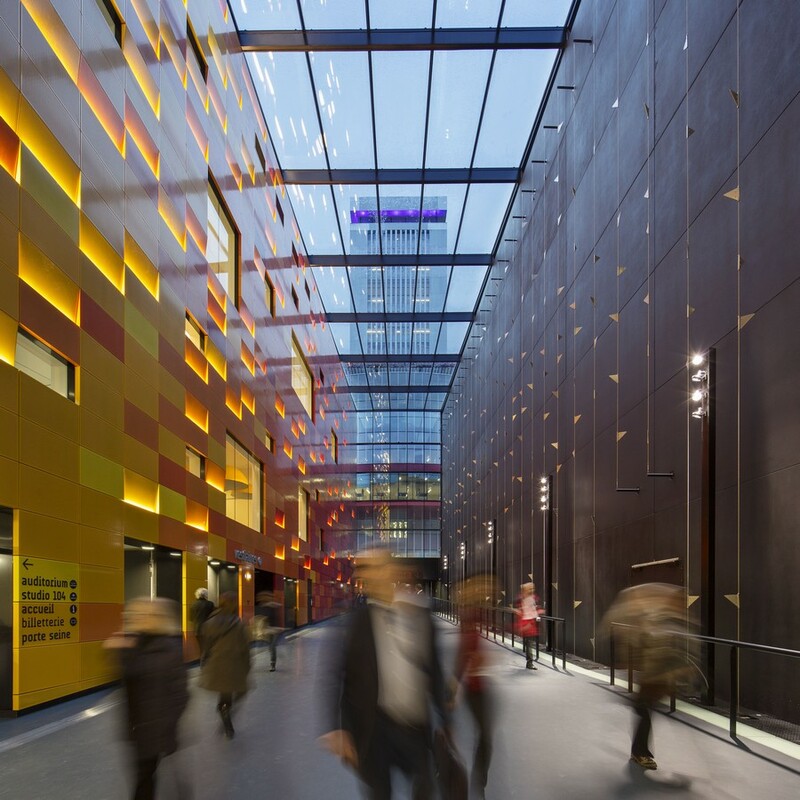 The walls are broken down into many facets whose lines extend to infinity, yet always bring attention back to the centre, where visual and aural attention is concentrated. Several timber species (beech, birch, cherry) are used in the moulding composition of the different planes, like a large marquetry relief structured by a rhythm of horizontal lines. Spatial quality is also found within the rhythm of the sequences that access the hall, from the brightly lit public foyers in direct contact with the city, through the acoustic vestibules, the hushed circulation along galleries, the fleeting isolated views towards the hall and the final surprise on discovery of the Grand Auditorium. 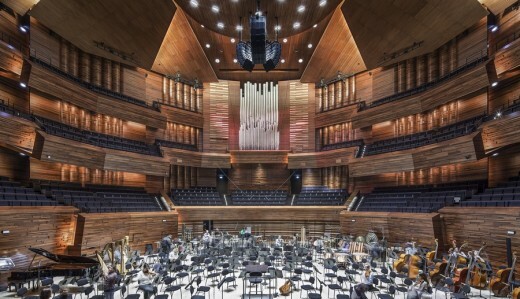 To ensure outstanding acoustics, AS.Architecture-Studio enlisted the skills of the acoustics engineer Yasu Toyota of Nagata Acoustics for both the final geometry as well as the quality of linings on each wall. 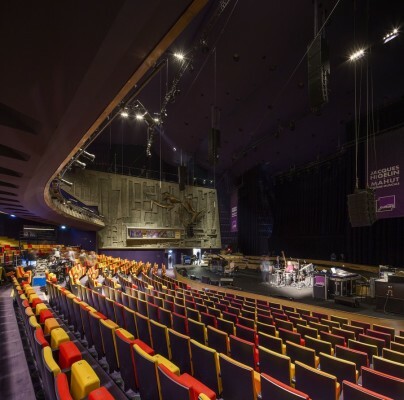 Comparable in size to the largest contemporary international venues (22m wide and 15m deep), the stage is composed of 18 modular lift tables able to accommodate 120 musicians and adapt to various orchestra configurations. 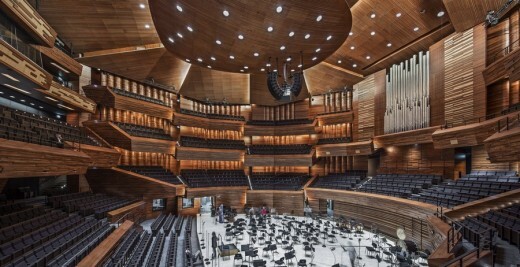 In the form of an oval lens, a «canopy», large timber acoustic reflector, is suspended at 14.50 metres above the stage and deflects the sound to the musicians and audience. The ceiling is also divided in different timber planes that overlap and follow in an upward movement the fragmentation of the balconies to reinforce the enveloping character of the hall. In the centre of the hall above the choir stalls, timber walls open slightly to reveal the monumental organ designed by Gerhard Grenzing. The auditorium is fitted out for the sound and video recording of all concerts in different configurations: philharmonic concert, chamber music, quartets, concerto, recitals, organ concerts. 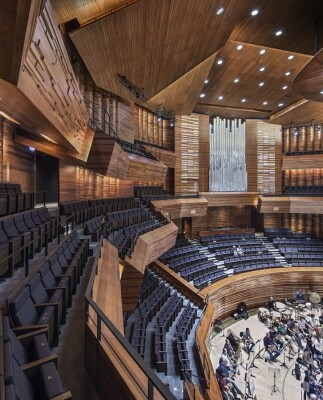 The Maison de la Radio has been redesigned to readily accommodate the public and offer numerous concerts and festivals «à la Maison» interpreted by the four Radio France resident ensembles and a number of visiting orchestras. connect the outer and inner rings on the fifth floor. The building is staged within a large garden through the creation of a 700-place underground car park. Both a square and public park, the landscaping was designed with Michel Desvigne. With its 840-seat capacity, Studio 104 is a versatile concert hall designed to accommodate all types of music. Rehabilitation has allowed its upgrading to standards, the creation of a choir stall that replaces the original organ stand and the improvement of its acoustics that vary, thanks to the installation of new reflectors and acoustic curtains. The carved reliefs by Louis Leygues have been conserved and refurbished, the stage floor and seating completely redesigned. Formerly housing the Radio France archives, the tower has been converted into large, spacious workspaces. 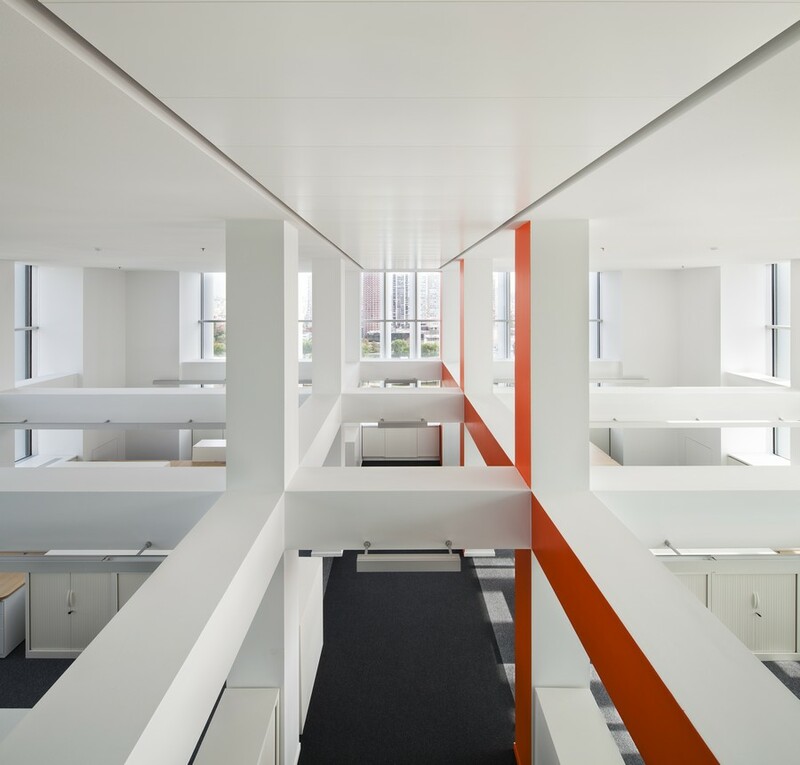 The new offices, mezzanines and meeting rooms located at half-level give greater flexibility of use. The boardroom now occupies the 22nd/top floor, replacing the old technical plant. 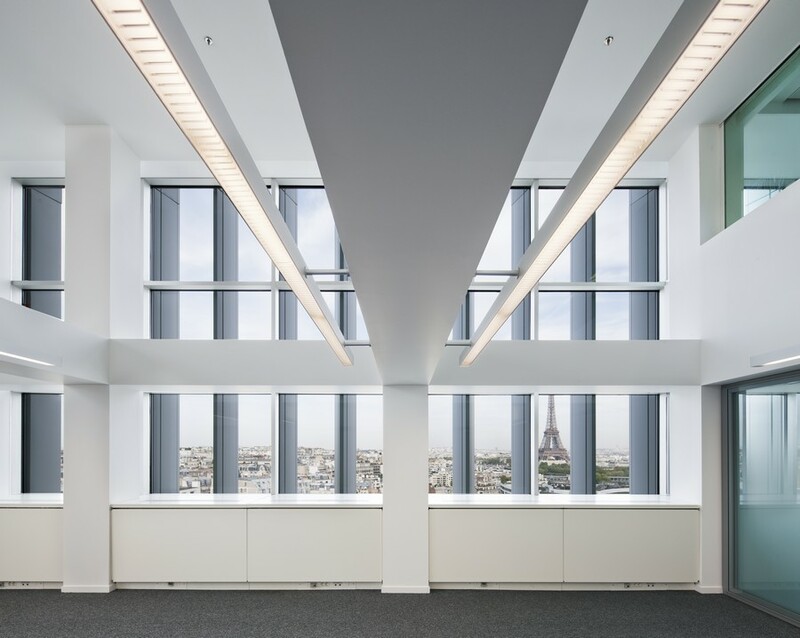 Open on three sides, this 135m² fully-glazed space has an exceptional Parisian panoramic view. Whilst conserving the appearance of the original facades, AS.Architecture-Studio has reworked the geometry of the aluminium sunshades, in form of inverted triangles, to ensure maximum supply of light to the floor plates. The new production and broadcasting studios, previously turned towards the inside of the building, now open onto the city. 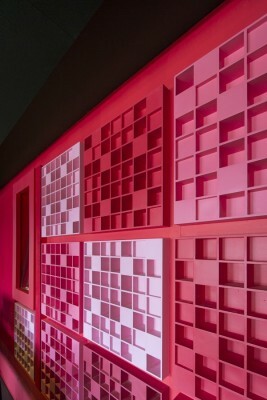 At the cutting edge of technology, they are designed as «boxes within the box» for acoustic purposes. 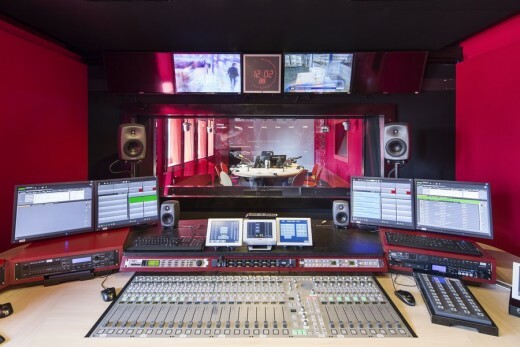 The France Inter and France Info production and broadcasting studios have been completed during the first half of 2014. 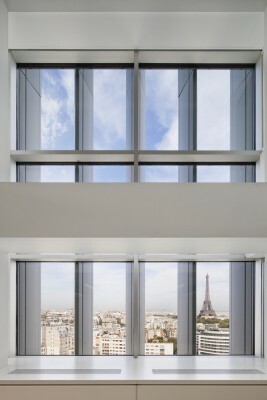 For over fifty years, with its thousand offices and sixty-one recording studios, the Maison de la Radio is a landmark within the urban landscape along the Seine and remains the most important public news service production centre. 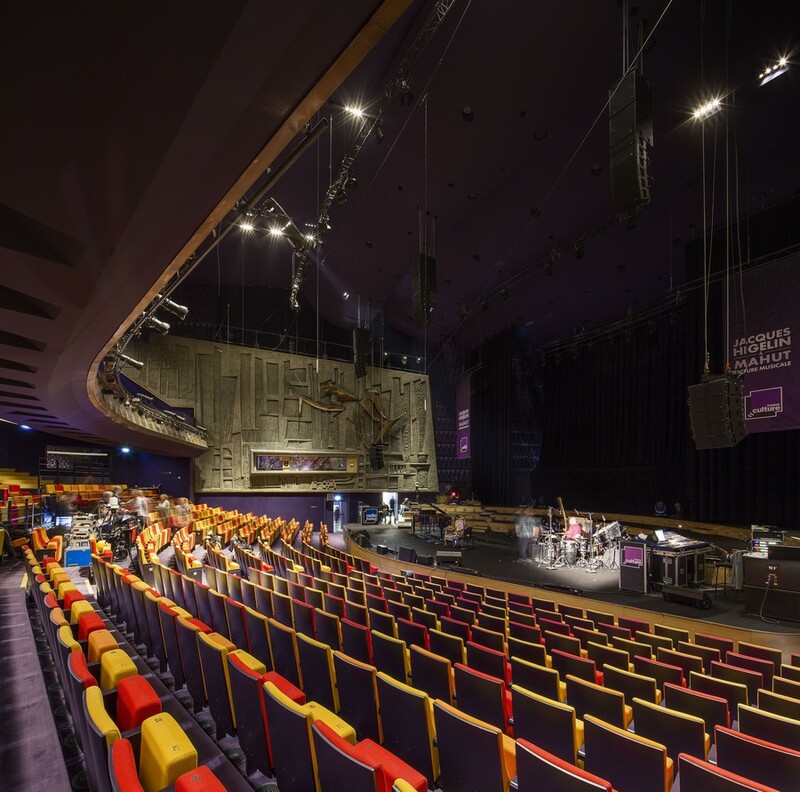 Also a performance venue, it is known for its concerts in Studio 104 (Olivier Messiaen Hall) but also for its live programmes in Studios 105 and 106. 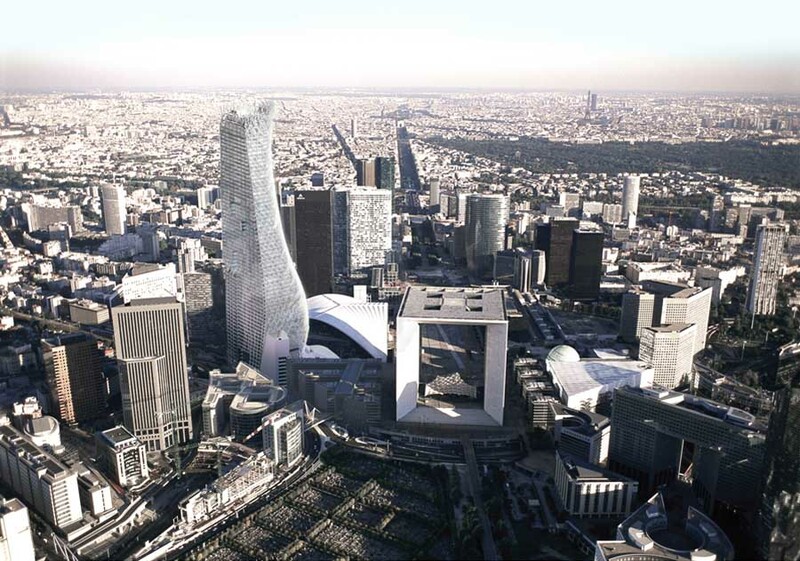 AS.Architecture-Studio shares Radio France ambition to give a new dimension to this iconic building. The architectural project makes the Maison de la Radio more responsive to changes in its activities by revitalizing its use and image. Now everyone can appropriate this conserved symbol open to the public, audiences and the city. With this rehabilitation, the Maison de la Radio gains a new lease of life.